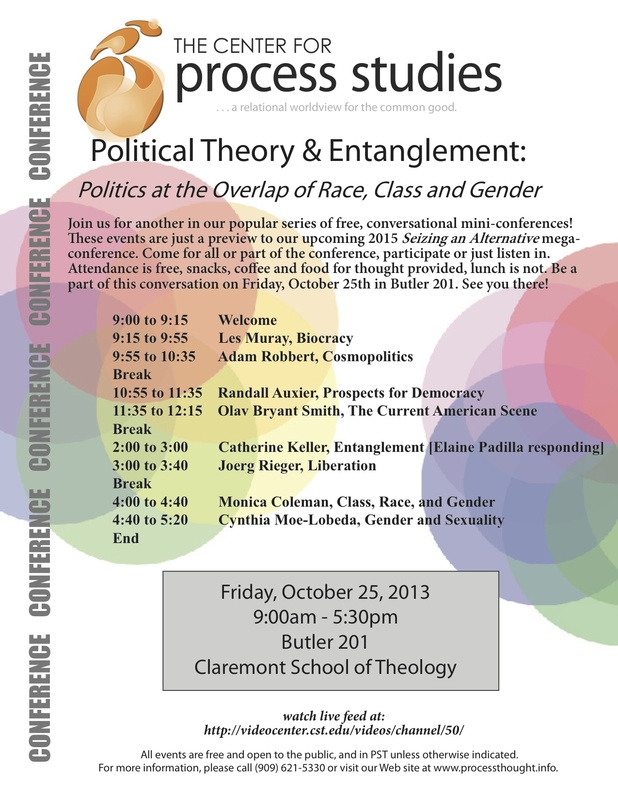 I’ll be giving a talk on Cosmopolitics through the Center for Process Studies at Claremont this Friday. Feel free to stop by if you’re in the area. Details are posted above. yeah thanks that’s a great example of her saying a lot of nothing, maybe it’s some kind of performance art approach to theology? Yeah quite poetic. I think it’s called theopoetics. Not saying a lot of nothing; more like unsaying everything. It’s apophatic. I’m well schooled in the work of folks writing with and after Stanley Hopper and co. and they actually managed to say something coherent and substantial while practicing apophatics, and there is nothing like this happening in her works that I can see, but if you can help me to find something in that interview or elsewhere that adds something productive to the conversation that would be appreciative. maybe adam can slip her a timMorton recording at the conference? I think there’s something interesting about Keller’s invocation of Cusa in the interview. I’ve always read Cusa’s wall beyond which the coincidence of opposites breaks down as Cusa’s own version of dismantling the law of non-contradiction. Affirming this breakdown puts Cusa, Keller, and Morton in quite close company. Though one has to assume Morton would break with Keller on the issue of relationism. For me the interview starts to breakdown when quantum physics and theology get thrown together. Now, I’m not a theologian nor a philosopher of religion, but I’ve never felt like mixing physical law with religion has ever turned out too well. I think the main issue would be whether Keller draws metaphorical inspiration from quantum theory, or whether she thinks quantum theory somehow supports religious beliefs. I have similar questions for Karen Barad, though not in the context of religion so much as ontology in general. In any case, I for one prefer to try and avoid using the language of physics when I’m off doing my humanities thing over here. Is there anything in particular you think Morton could provide in terms of Keller’s work, dmf? hey AR, tho it’s not my thing I think that Tim does the work of making the connections between, and than fleshing out the implications of, physics (and poetry) and his own “meta” move, just as Caputo does on the theo-logical side with his more phenomenological approach. Keller tends to play it both ways skims off pieces of pop books on physical sciences to give her work some grounding/gravitas and when called on how thin/weak her understanding/explication is she says she was being poetic (but unlike Haraway doesn’t mean this in a pragmatist/prototypical way but as some kind of “depth” mysticism/revelation). here is AR talking to the Royce, I mean Whitehead, crowd.